The feud that we are currently witnessing between Iran and Saudi Arabia has in actuality been in making for decades. But we have seen an exacerbation of verbal hostilities since January of this year. In September of 2015, we had the horrible tragedy (or better put, travesty) in the Mena District of Mecca where thousands of people were killed, 500 of which were Iranians, the largest of any nationality. The Saudi Regime has never apologized. It was later reported that some of the people who died were Iranian intelligence officers in Lebanon and Iraq. The Saudis never returned their bodies nor allowed any autopsies to take place even when the Iranian Minster of Health and Human Services, Dr. Hashemi himself made the trip shortly after the tragedy. That event caused a lot of problems in Saudi-Iranian relations. Then, in January of this year, the Saudis brutally executed the dissident human-rights activist Sheikh Nimr al-Nimr by savagely beheading him! Many people in the Muslim world were extremely outraged. In Iran, some angry protesters set the Saudi Embassy on fire. The same followed with the Saudi Consulate General in Mashad, in northeast Iran. That, along with the atrocious Mena events ensured the breaking of diplomatic relations between Iran and Saudi Arabia and the recalling of both countries ambassadors. With the Supreme Leader's message, we saw a timely reminder of those unpleasant events last year and how the Saudis never apologized nor ever paid any reparations even though the Iranian leadership cadre clearly condemned the Saudi embassy fires right from the gecko. Conversely, to add insult to the injury, earlier in the year when Iraq offered to mediate the pilgrimage negotiations between the Iranians and their Saudi counterparts, though some ridiculous contrived technicalities and typically shrew and underhanded behaviors, the Saudis unilaterally decided that the Iranians should not participate in this year’s Hajj pilgrimage. This was a big insult to the Iranian nation and to the Muslim masses. As such, the Iranian pilgrims were banned from this year’s pilgrimage season. The Supreme Leader naturally responded with strong words, even openly calling the Saudi leadership as evil – a title which by the way they fully deserve because of their crime in Syria, Bahrain, and the impoverished Yemen. Usually, the Supreme leader is very cautious and even-handed in his speeches. Rarely does he refer to America and other imperialists powers, for example, by name. But in this speech, both America as well as the Saudi power structures were singled out. Monetarily speaking, I think the significance of the ban on Iranian pilgrims will be measured in billions of dollars of loss to the Saudis. The Iranian pilgrim's dollars will not flood into Saudi Arabia’s economy this year. In essence, this can be viewed as a direct sanctioning by Iranians. I think it will really hurt Saudi's rather shrinking economy. Foolishly, they don't really care about these pilgrims’ financial contribution. Even with all their bribe expenditures throughout the Muslim communities spread across the world, they have zero credibility left anyway. The Supreme Leader in his message actually emphasized a new global Muslim management of the Hajj pilgrimage. Of course, a lot of this is rhetoric, as the Saudis will never going to voluntarily relinquish the power over Mecca and Medina. These are where the two holy mosques are located and where pilgrimages mostly take place. So, if this continues further, out of financial desperation the Saudis may reverse their position because it's really hurting their pockets. I can't recall the exact number, but I believe it's in the billions, around five billion a year, if I am correct. Around two million people usually go to Mecca during the Hajj season of which is happening right now. It's interesting that 20 million people go to Karbala, Iraq during the Ashura ceremonies each year to commemorate the martyrdom of Prophet Mohammad’s grandson Imam Hussein in Karbala some 1400 years ago. Even though Iraq is disrupted as a result of Washington's invasion in 2003 and the subsequent occupation, interestingly in Karbala there are no advanced electronic security bracelets being issued or required. The security is unobtrusive, but very effective. On the other side, in Mecca they are using the latest technology when it comes to security. We even have intelligence information that the Israelis are providing the actual security for the Saudis as the Saudis only rely on their money and are incompetent in just about everything. This is unprecedented but not surprising as the Zionist Israelis and the Wahhabi Saudis have been bedfellows for a long, long time even going back to the roots of Wahhabism some 300 years. Nevertheless, even with all those Saudi/ Israeli security measures, we still had all those horrible incidents that took place or perhaps that was a well-planned conspiracy. This left a big mark on the Saudi's management of the pilgrimage and even their intend towards a fellow Muslim country. And that is nothing new. 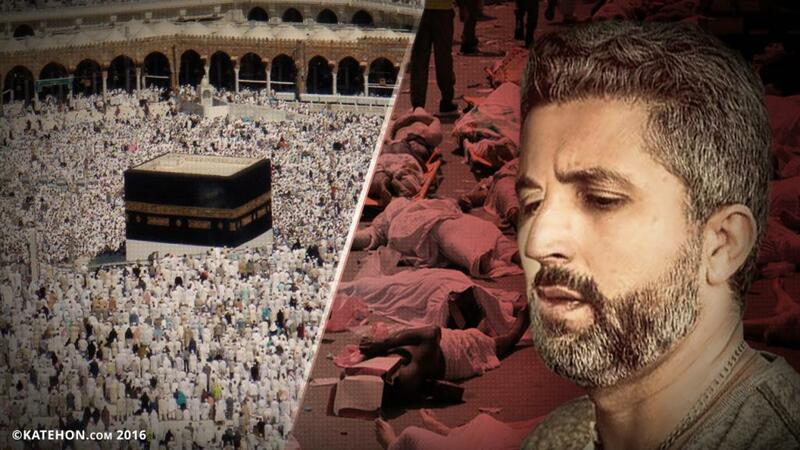 Every two to three years, there have been rampages in Mecca. I believe the essence of the Iranian Supreme Leader's message was that we should look for alternative solutions to managing these Hajj pilgrimages. This is a brewing divergence that is growing. It's a critical geo-sectarian conflict throughout the Middle East with dire consequences. The Supreme leader's long letter was also aimed to remind the Hajj participating Muslims to not forget their Iranian brothers and sisters’ absence in this year’s Hajj season. Nevertheless, as it turns out, regardless of whoever is in charge of these two holy mosques in Arabia, the pilgrimage is a necessity, according to ancient pilgrimage customs and rites. Even during pre-Islamic times when polytheistic Arabs were in charge of the ancient Kaaba, the pilgrimage was required of monotheistic believers. So, clearly the Supreme Leader was not promoting a ban on the pilgrimage. He was simply pointing out to the Saudis gross incompetence and the fact that they never apologized for the incident that took place in Mecca last year as well as providing a solution for future pilgrimages. That was all. Ayatollah Seyyed Ali Khamenei says "US deception hindering Iran trade"